Backyard weddings are usually quite simple and inexpensive, a great alternative for a couple that is on a budget or wants to host a smaller, more relaxed event. Many people host their big day in the backyard of a loved one’s home or at the family farm because it is sentimental to them or significant in some shape or form. Although these events are not held in a grand ballroom or fancy hotel, they can be equally as beautiful and enjoyable. 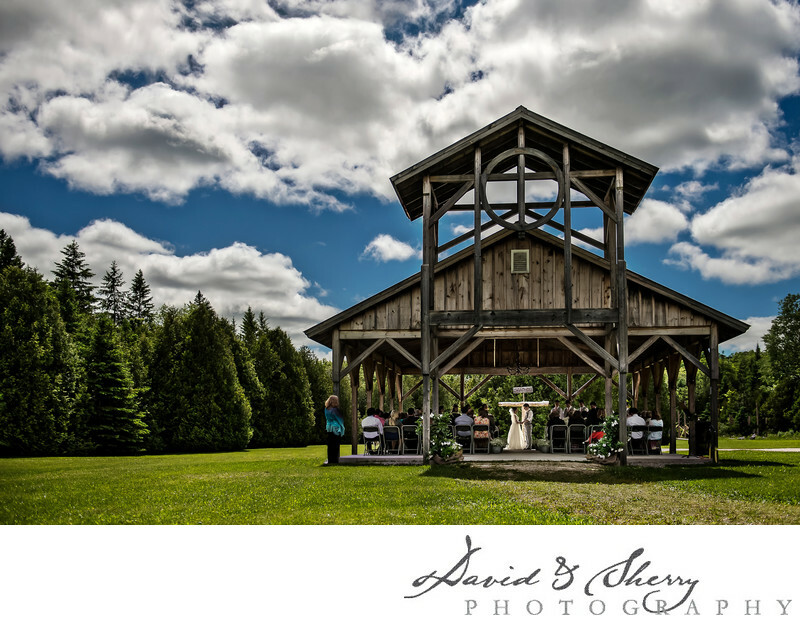 I find that ceremonies held outside do not need as much décor or additions because the natural surroundings make a great backdrop on their own. Furthermore, hosting the wedding somewhere familiar to the bride and groom puts them more at ease and they are able to enjoy the day more without the stress venue coordination. This Canadian backyard wedding ceremony in British Columbia was very quaint and intimate. As guests were seated beneath the roof of an old converted barn, the sun was shining and a warm summer breeze was blowing through. Baby’s breath and greenery lined the way for the bride to enter and a simple cross at the front was the background for the couple to exchange their vows. The rustic look of the building fit the DIY country chic theme of the day perfectly.